No, I’m not missing anything there. 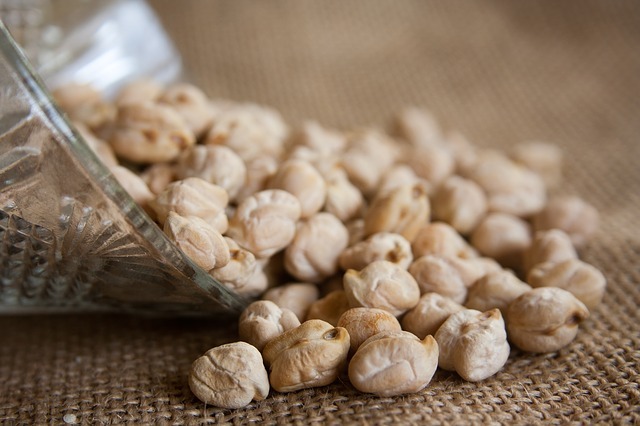 I really am talking about getting a protein packed “nuts” for under $2. I haven’t been eating raw almonds in some years. They were always a specialty item in my area, and that meant I had to go to the specialty store or order them on Amazon. So, I went to order off of Amazon, because taking two children to a grocery is always such fun, when I learned they were more expensive than they were a few years ago. A LOT more expensive. In the meantime, I decided to try a recipe from a long time back. It’s pretty easy, and you know if has to be if I’m going to bother with it. 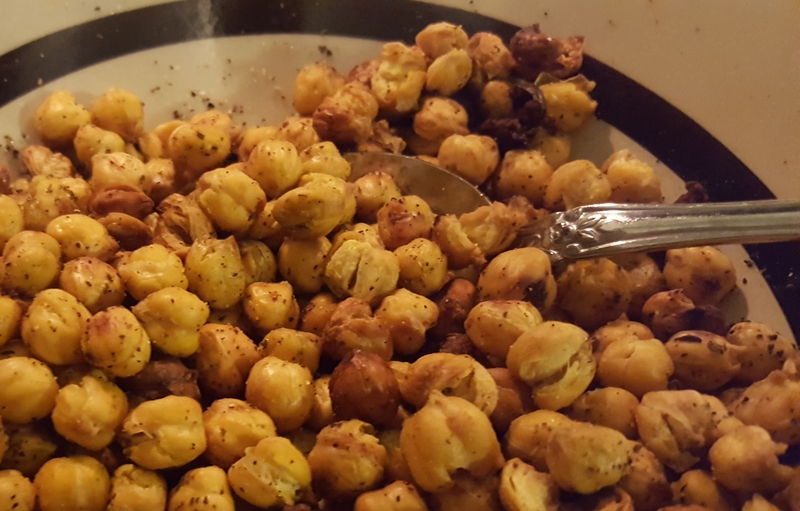 1 bag of dried garbanzo beans (or chick peas – same thing). Mine had to be brought to a boil and simmered for 2 hours. Overnight soaking is optional, but so not happening in my house. Once the beans are cooked, give them a few minutes to cool. No really, or you’ll end up with burned fingers. You just simmered them for two hours. Dry off the garbanzo beans on a clean towel. Spray the beans with cooking spray. Seasons with your garlic salt and Italian seasoning. My husband like a little cayenne pepper added. Cook the garbanzo beans in the 425F oven for 25 minutes. Check it. DON’T SKIP THIS. If they’re golden brown and crispy, take them out. If not, set for 5 minute increments until they are. Anyway, these are tasty, very portable, and very filling. Just be careful your first few times eating them. They are beans, after all, and beans have certain properties. This makes a good size batch of high protein, low fat snacks. I paid $1.79 for my 1lb bag of garbanzo beans that yielded a crap-ton of beans. Probably close to $25 worth of almonds, and they have no fat. 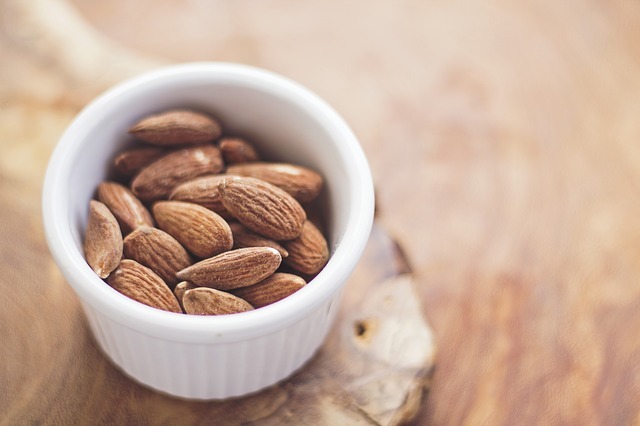 I can also eat a lot more almonds than this snack because of the fiber in these. Seriously, fiber. Don’t say I didn’t warn you about the fiber! Any tricks or tips you have on healthy eating? Particularly low-carb high-protein? Always looking for tasty, reasonably-priced options! My wife loves almonds. You failed to mention the calorie content. I very much appreciated the reminder that they are beans and provide lots of fiber! What a fun alternative😀 nuts have indeed become super expensive over the years.